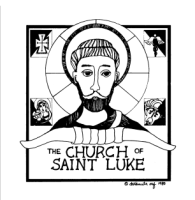 The Church of St. Luke, as a Roman Catholic Community of Disciples, gives for opportunities to commemorate or pray for the sick or deceased with a mass intention. The process of requesting a mass intention is simple and requires little information in order for an intention to be processed. Requesting a mass intention begins by visiting the parish office and asking the office volunteer for a mass intention. They will ask who the intention will be for, if the person is living or deceased, and a date that you would like the intention to be on. Each mass only allows for one intention but we will work with you to find a specific date, a date as soon as possible, or any date so that we may continue to pray for your loved one. We ask that you provide a reason for your intention such as rest in peace (RIP) or special intention for those who are sick or in need of prayers. The standard donation that is given for a mass intention is $10 per intention with the option to given more if you feel necessary. In addition to the mass intention for your loved one, announcement cards are available for you free of charge upon your request to be sent to relatives or friends so that they may be known of the intention that you made for a common friend. If you would like to place a Mass Intention please visit the Parish Office during normal business hours, Monday-Friday 9:00am-5:00pm.